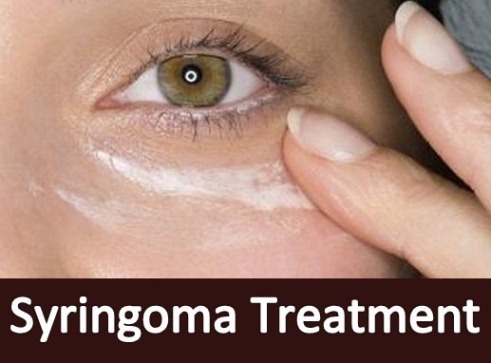 Syringoma sounds very strange but actually it has been named because of the overactive sweat or you can say that inactivity of eccrine glands. Syringomas appear like bumps on the area where you find more sweat and these are completely harmless. Mostly the teenagers and women suffer from this problem. 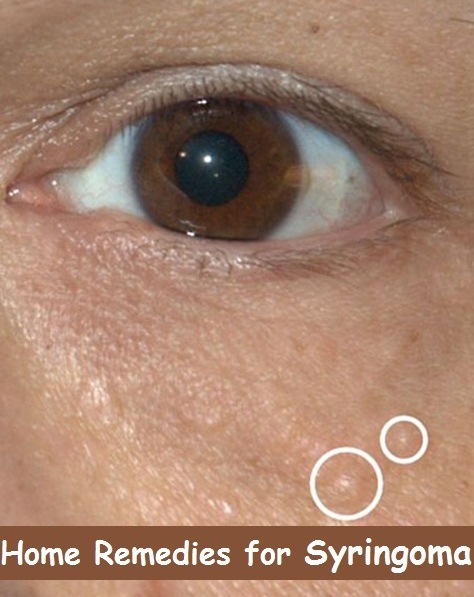 Syringomas develop on the upper part of the cheeks and the lower part of the eyelids. This is actually a type of skin condition but most likely seems in the diabetic patients and the people with Down’s syndrome. Syringoma has a scientific name called dermal papules which is small and fresh colored bumps on the skin around the upper cheeks, lower eyelids, chest, forehead, armpits, abdomen and external genitalia. The dermal papules are visible clearly, cystic, round and flat. Syringoma has a specific identification that it appears like a colony or a bunch of clusters on both sides of the body at the same time. Only one localized area would be seen with bumps rather than the other different areas at a time. There is no pain or itchy feeling in synringomas. Overactive sweat or eccrine glands. Hormonal imbalance and puberty age. Some medical conditions like Down’s syndrome, diabetes, Ehler-Danlos syndrome. These all are known be the risky causes of syringomas. Mostly the Asian, American or African people suffer more than the others. Women are targeted more rather than the men across all age groups. The Excision Method – this procedure is simple in which dermatologist cut and removes syringoma one by one. Anesthesia is given to the patient because it may be slightly painful and time consuming. Electrodessication and Curettage – In this procedure, electrical rays are produced due to which dermatologist scrapes down the syringomas and dry it then burn it out. Dermabrasion – Dermabrasion is alternative to the electrodessication. Here a tool is used that has a tip of diamond shape. It is used to scrape down the bump until the skin looks flat. Laser treatment – A laser called CO2 is used to kill the cells. The severe cases of synringomas are treated with this method. Cryosurgery – The deep syringomas can be only treated by freezing or cryosurgery. The medical treatment has their own risks and complications that there may be the chances of redness, scarring, bruising and dark patches. If you want to get rid of syringomas then you would have to try some home remedies that is completely painless but for long time duration. To get rid of the syringomas, rub the skin with fresh potato slices, tomato or lemon. Squeeze out the gel from aloe vera leaf and apply on the affected areas of the skin. Apple cider vinegar is used to treat the syringoma bumps. Prepare a mixture of lemon juice and glycerin then apply to the affected areas of the skin. Massage your skin with almond oil using gentle motions of your hands, this should be done post-surgery. In this way your skin will remain moisturized and healed. Prepare a paste from sandalwood powder, rose water and milk cream. Apply this paste on the affected parts to remove bumps and scars. Regularly check blood sugar level and blood pressure. Eat a healthy balanced diet rich in vitamins and antioxidants. Avoid alcohol drinks and smoking. Maintain your hygienic level and stay away from products that have harsh chemicals that may be the cause of the damage of your skin. Do exercise on the daily basis in order to fasten the metabolic system and improving the overall health. Never scratch syringoma because it will spread on the further places on the skin. I am sorry, it burned your eyes... Please you add some water in it to make it dilute then apply. Anyone who has tried this and how did it go?